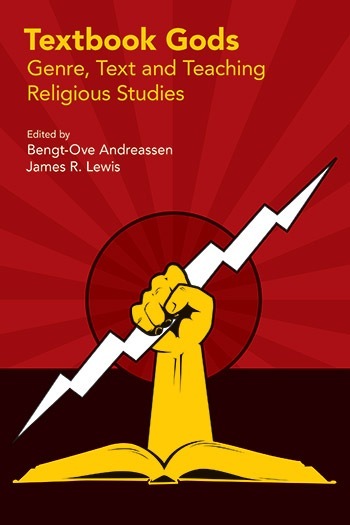 Andreassen, Bengt-Ove; and Lewis, James R., eds. Textbook Gods is a collection of essays by predominantly European scholars of religion on the use of textbooks in primary, secondary, and post-secondary educational settings. Textbooks are understood to be books written primarily for classroom teaching that convey “key knowledge” within a given academic discipline (2). As such, textbooks generally present disciplinary knowledge as stable, firmly established, and definitive. The essays in this volume wrestle, first, with the problems of bias and essentialism in such authoritative, institutionally-sanctioned books. By extension, they also consider the impact of religious studies textbooks in reproducing knowledge of religion in the public sphere. Satoko Fujiwara argues in her essay, for instance, that the religion textbooks used in secular Japanese public schools prioritize world religions over ethnic religions and provide monothetic and essentializing accounts of these religions (for example, Christianity is love, Buddhism compassion, Islam obedience). Likewise, in their contributions James Lewis and Carole Cusack criticize textbooks for validating students’ ethnocentric prejudices about sub-Saharan African religions and aboriginal Australian religions. In a somewhat different vein, Bengt-Ove Andreassen critiques the way that introductory Norwegian textbooks present “religion” as a positive, universal phenomenon that is necessary for human fulfillment and flourishing. Other essays have a more methodological focus, discussing the ways that scholars of religion can assess religion textbooks, both as teaching resources and as indices of the status of scholarship on religion. Katharina Frank outlines a theoretically-informed methodology for assessing the ways that a new Swiss world religions textbook frames the phenomenon of religion. Mary Hayward surveys the use of visual aids in four textbooks that are used in England’s secondary school religious education courses, tabulating types of images and their relation to the text. 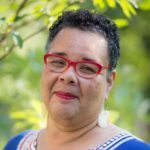 She calls for a stronger interrelation between text and image because the privileging of text mirrors the privileging of the intellectual over the material in the study of religion. The essays in this volume are generally of good quality: they are well written, they fully contextualize the textbooks that they discuss, and they engage contemporary debates in the scholarship of religion (for example, on the public role of religion in secularizing societies; on the utility of “religion” as an analytical category). This volume should not be seen as an aid for teachers of religion who are considering which textbooks to use in their classes. Though the essays in it discuss many different textbooks at length, the primary topic is not their specific merits and demerits, but rather the role of textbooks as a genre in the production of public knowledge of religion. I would strongly recommend this book for experienced scholar-teachers who are reconsidering how they use textbooks, or even if they should use textbooks at all. The range of materials covered by the essays, and the diversity of opinions they present, make Textbook Gods a valuable resource. This collection of essays has its origins in a three-year research project at the University of Michigan (funded by the Teagle and Spencer foundations), which intends to find ways to improve undergraduate education by developing “targeted, exportable classroom strategies to help bridge the gap between students’ and faculty’s (or novices’ and experts’) understanding of disciplinary writing and thinking” (2). 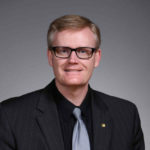 Based on research that recognizes metacognition as “most important to good learning outcomes” (2), this collection explores whether disciplinary metacognitive strategies will assist students “to better connect diverse disciplinary writing tasks and develop more versatile identities as disciplinary writers” (3). To that end, they include essays on the use of metacognition in several different disciplines: biology, engineering, mathematics, psychology, humanities, and composition. 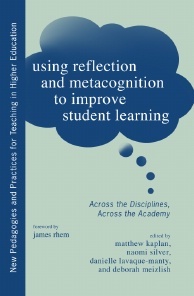 They conclude that both “student and faculty engagement with course material and writing tasks is resoundingly improved by the introduction of metacognitive strategies” (3). The basic premise upon which this collection rests is that people can learn how to learn. This generally takes two forms. In the first, students might be asked to “reflect” on their learning, by attending to their discomfort, ambiguity, and uncertainty, and revisiting a learning experience again and again in order to discover new insights and a more sophisticated understanding (6). In the second, students might engage metacognition (thinking about thinking): they establish a plan to learn (for example, make predictions, set aside sufficient time, gather appropriate resources, and decide which approach will be most efficient based on experience), monitor their learning (with self-tests, for example), and evaluate success (their ability to recall the idea a week later). Attention to metacognition facilitates students’ ability to transfer understanding across disciplines. Teachers in religion and theology might be particularly interested in a number of immediately useable teaching strategies. Consider “exam wrappers”: after giving a test, ask students to describe how they prepared for it; collect their responses, and return them as they begin to prepare for the next test. In this way, students can monitor and evaluate their learning and give their “future selves some advice” (24). 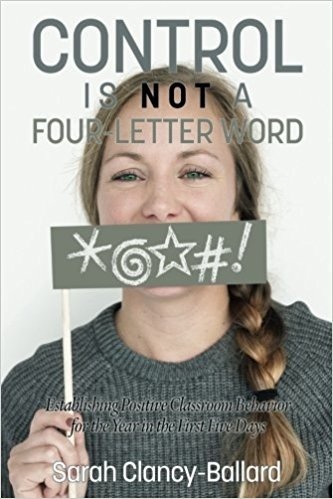 Or invite students to monitor their thinking by including comments in the margins on their writing assignments; for example, they might say, “I am not sure I understood how these two ideas connect,” or “I think I have this correctly stated but I may have to check my facts” (122). Or consider inviting students to design a fifteen-week project using a template to identify purpose, audience, context, genre, media, and arrangement strategy; this type of assignment encourages students to make deliberate rhetorical choices and to revise both their design and their product iteratively. Or try this: invite students to “repurpose” their content knowledge in alternative formats (written page, presentation, image, video, blogging, and so forth) in order to develop skills as emerging experts in their profession (178). Each essay provides concrete, practical descriptions of how reflection and metacognition can be used in different disciplines, with abundant samples of assignments, templates, surveys, and student examples.